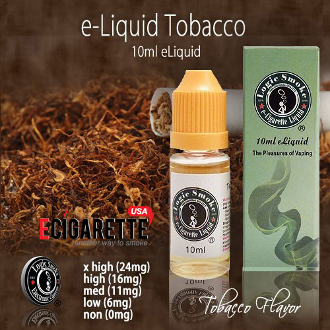 Logic Smoke Regular Tobacco Vapor juice is a wonderful tobacco flavor that is basic and familiar to all who try it. It is rich and full bodied and will satisfy your urge for that tobacco flavor without smoking a real cigarette. Pick up a bottle of Regular Tobacco vapor juice from Logic Smoke and satisfy your craving for good tobacco flavor.